LEFT: Casino Engineering staff Luke Barton, Scott Johnston, Justin Baker, Jon Olive, Fraser Burton, Angela Johnston and Denis Azemia. SCOTT and Angela Johnston have made a smooth transition from employees to owners of Casino Engineering. When former owner Ken Spinaze retired after 38 years. they stepped up. "We have the same staff and service,” Ms Johnston said. The seven staff are skilled workers as fitter machinists, boilermakers, crane operators, tele handlers and in hydraulics and fabrications. "We do a lot of work for the agriculture industry and the transport industry,” Ms Johnston said. 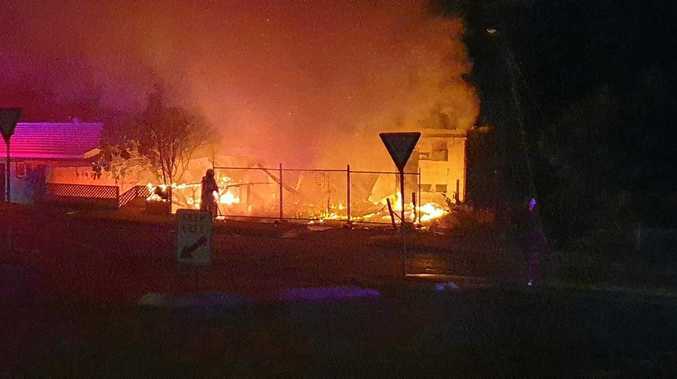 Their customers come from the Queensland border to Grafton. The couple have worked together for years. "Scott is usually in the crane and I'm in the office,” Ms Johnston said. 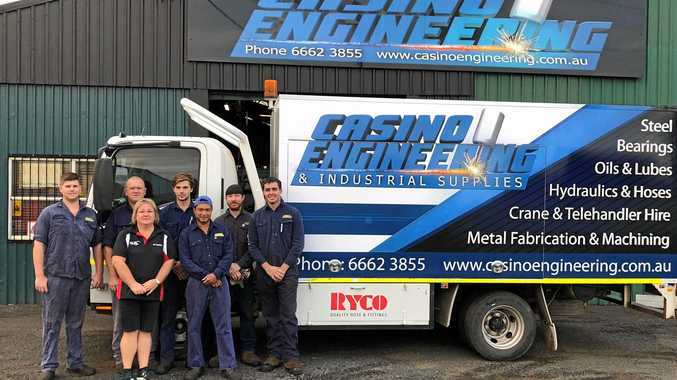 Casino Engineering stocks a wide range of industrial supplies such as cutting discs, tractor parts, ag parts, steel sales, bolts, trailer parts, oils and lubes and are Air Liquide agents. From finding the right bolt to modifying a tea-tree condenser or fitting out an excavator with a tilt bucket, they are there to help.